Here’ a great resource pack ideal for student self-study or teacher lesson material. 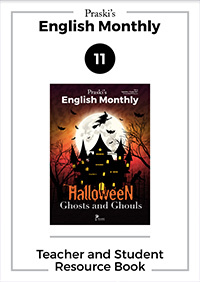 In it, you will find activities and exercises for every Praski’s English Monthly 11 magazine article including discussions, matching exercises, grammar, comprehension and vocabulary knowledge tests. Whether you are a teacher or English learner you’ll find this workbook an excellent companion to the magazine, increasing the value you get from it. Buy it now for peanuts! Here’s a great resource pack ideal for student self-study or teacher lesson material. 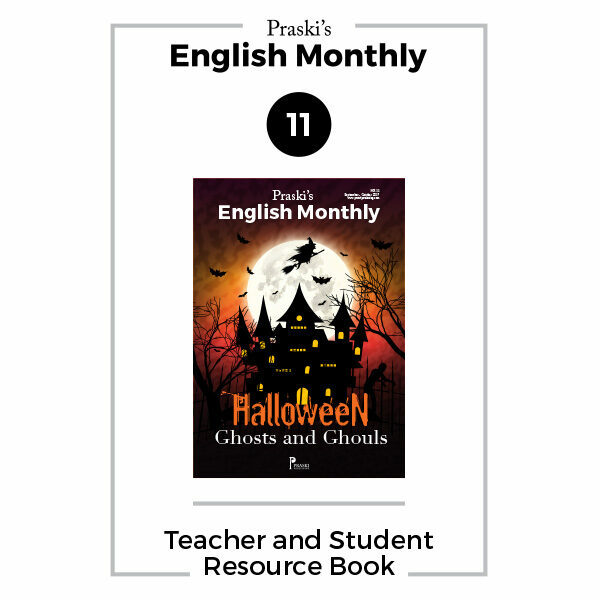 In it, you will find activities and exercises for every Praski’s English Monthly 11 magazine article including discussions, matching exercises, grammar, comprehension and vocabulary knowledge tests. Whether you are a teacher or English learner you’ll find this workbook an excellent companion to the magazine, increasing the value you get from it. Buy it now for peanuts!